I have a licence to take water. What are my obligations? I have to meter my water use. What are my obligations? I have a licence to construct or alter a well, and/or a permit to interfere with bed and banks. What are my obligations? If I fail to meet my obligations as a licence or permit holder, what are the penalties? My legal access to the land has ceased. What are my options? 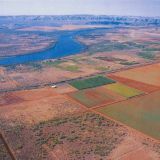 I plan to sell or lease my land to somebody else. 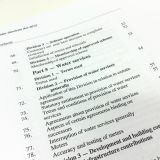 Can they use my water licence to take water? Will my property be inspected? Can I get another copy of my licence? 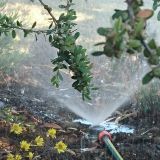 Do winter sprinkler bans apply to my water use activities? 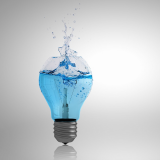 use water efficiently and responsibly, minimising impacts on the water resource. The department may require you to fit a water meter. Failure to comply with these metering requirements may attract a penalty. Record and report readings if required under your licence conditions. If you cannot read the meter at the required time, you will need to arrange for someone else to do this for you. 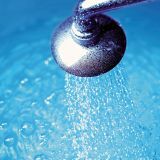 Meter readings and water use data can be submitted via the Water Online Customer Portal. Note that meter readings submitted online meet the department's requirements for submitting data on a 'Meter Water Use Card'. Maintain your meter and take all reasonable steps, including regular servicing, to ensure it is accurately measuring all water use. Report any issues with department-owned metering equipment to the department immediately. You must not deliberately damage or alter a meter, or associated fittings or pipe-work so that the meter does not accurately measure all of the water being taken. Inform us in writing, within 30 days of installing the meter, the date of installation, meter location, make, size, type and serial number of the meter, and the meter reading following installation. 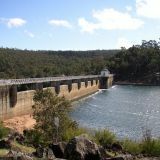 These details can be provided online via the Water Online Customer Portal. Where possible, provide to your local office a photograph(s) and/or diagram(s) of the meter fitted on the pipe work. Familiarise yourself with the conditions on your licence that relate to installing, maintaining, reading and submitting your water meter readings. Familiarise yourself with your meter and how to take a reading. Not all meters are the same. See our Reading your meter fact sheet. You think you may not be able to fit a meter within the timeframe specified in your licence conditions (notify us before the installation deadline). You are unable to read your meter or report the meter readings by the due date, for any reason. 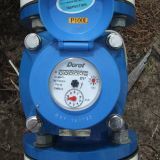 You think your meter may not be accurately recording water use. For example, if the meter is not registering water flow when the pump is switched on, or if water use is higher or lower than expected. A meter is damaged, or if for any reason you think that your meter may have malfunctioned. A meter must be removed for maintenance or repair or any other reason. A meter is replaced for any reason. 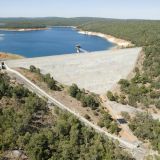 You plan to drill new wells, construct new dams or alter existing infrastructure, as you may need to apply for a licence or permit to do this. Keep your licence or permit in a safe place and make a copy available to your driller or contractor before work commences. Read your licence or permit carefully. 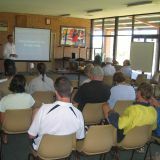 Ensure you understand and can comply with all conditions on your licence or permit. 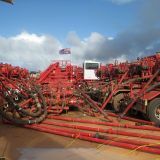 Ensure the contracted driller has the correct class certification to be drilling and constructing your well. 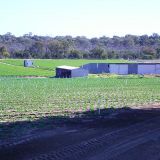 Ensure you have legal access to the land on which the works will occur. For structures, you should seek the advice of an appropriately qualified and experienced contractor to ensure the safety of the design and your chosen method of construction. 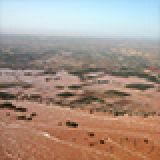 Consider the impacts the works may have upstream or downstream of the site and be aware that you are liable for any damage caused as a result of the works. 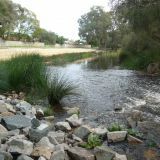 If the construction program will not be completed while the licence or permit is valid, or if you wish to change your construction program in any way, contact your local Department of Water office. If you are replacing a failed or collapsed well, then you should ensure the old well is properly decommissioned. 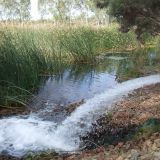 For more information refer to Minimum Construction Requirements for Water Bores in Australia (third edition). For bores, submit the required bore log – Form 2 Information to be provided on completion of a non-artesian well or Form 2a Information to be provided on completion of an artesian well to the department within one month of the new or replacement bore being completed. For constructed works, the department recommends you obtain an engineer's certificate to ensure the safety and adequacy of the structure. Keep the licensed or permitted works, facilities and equipment in good order. Contact your local Department of Water office before carrying out maintenance or emergency work on a bore or permitted facilities. We may refuse to renew your licence if we believe you will not comply with licence conditions. 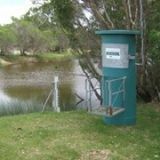 If you are unable to comply with or do not understand any of the terms or conditions of your licence contact your local Department of Water office . apply to delay the termination of the licence by submitting a Form 6 Notice that licence holder is not or may not be eligible to hold a licence. 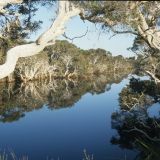 apply to trade the licenced entitlement to another land owner or occupier within the same water resource. For further information please refer to FAQ Transfers, trades and agreements. Note: All applications to trade or transfer are subject to assessment. 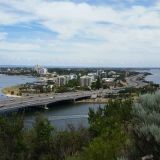 If you sell your property the new owner does not automatically have rights to take water under your licence, even if the water entitlement has been included in the contract of sale or lease agreement. 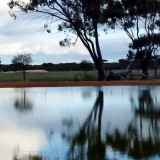 If you lease your land to a third party, you may allow them to use water under your licence. 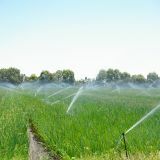 You are responsible for the water use and they must comply with the terms, conditions and restrictions of the licence. In this circumstance there is no obligation to seek the department's approval of a formal agreement, however, an approved agreement would enhance the rights to the third party and provide some protection to the licensee. The department may access your property for routine inspection purposes or to determine if an offence has been committed. 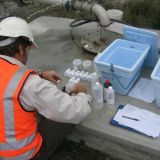 Under section 71 of the Water Agencies (Powers) Act 1984 Department of Water officers may enter and re-enter property for routine inspection or maintenance and to take measures necessary to establish if an offence against the relevant Act is being committed. Although officers are authorised to enter land for inspection purposes without giving prior notice, you will usually be notified if we plan to visit your property for routine compliance monitoring purposes. You may request a copy of your licence (a fee applies). Be aware that the wording of licence terms, conditions and restrictions may be updated over time to improve clarity and certainty for the licensee. This means that a reprint may not be an exact replica of the original licence issued. In this case, you may request a certified photocopy of a licence with the original wording. Please contact your local Department of Water office. 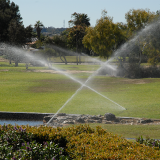 Licensed and unlicensed water users may be subject to winter sprinkler bans which prohibit the watering of non-commercial areas of turf, lawns and gardens during the wetter months of the year. 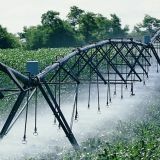 These questions deal only with processes and approvals under the Rights in Water and Irrigation Act 1914. Other legislation can apply to the activity you wish to undertake and it is your responsibility to ensure you have all the required approvals. 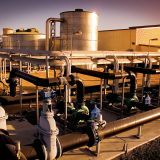 The Australian Government has introduced a new water entitlements register to increase transparency around foreign investment in Australia. Find out if you need to register.